Jim Delligatti has died at the age of 98. This may not seem like especially noteworthy information upon first glance, considering you likely have not heard of Jim Delligatti and considering how impressive it is for anyone to live to be 98 years old. The man who created the Big Mac is dead. Kerry Ford – a spokeswoman for McDonald’s – confirmed on Wednesday to the Associated Press that Delligatti passed away at his Pittsburgh-area home surrounded by family and friends. A native of Pennsylvania, Delligatti opened his own McDonald’s’s franchise in Uniontown in the mid-1960s. 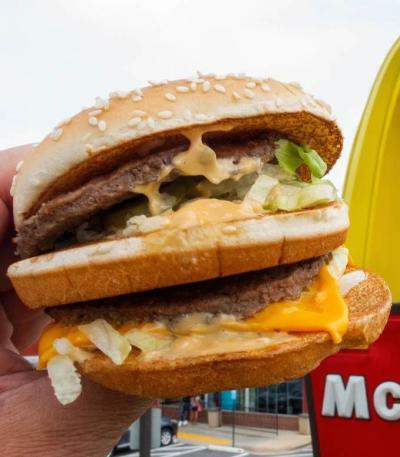 It didn’t take him long to look into ways to expand the menu beyond such basic fare as hamburgers, french fries and milkshakes, which is what prompted him to come up with the idea of the original Big Mac. The item would go on, of course, to become the fast food chain’s most recognizable menu option. Delliganti chose to experiment with the burger that had been sold by the chain for years by adding two all-beef patties, “special sauce,” lettuce, cheese, pickles and onions on a sesame seed bun. 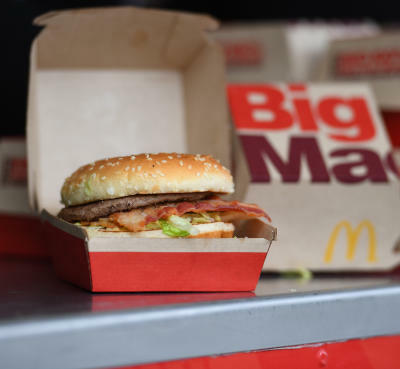 It reportedly took some prodding on Delliganti’s part to convince McDonald’s to roll out the Big Mac nationwide. But it’s safe to say the company is very glad it decided to do so in 1968. 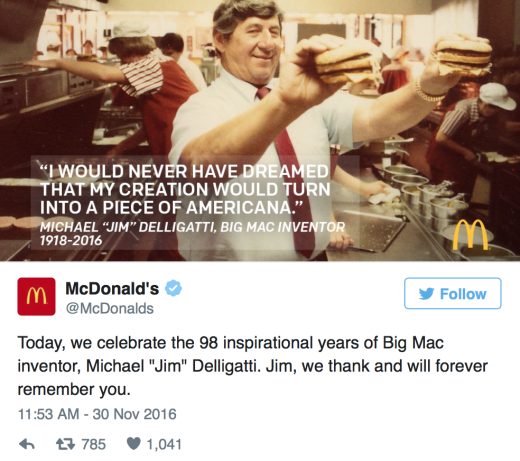 In the end, Delligatti went on to own and operate 47 McDonald’s locations. These days, of course, the food industry is all about unique food options and unusual twists on burgers. But it’s important to remember where these ideas came from. They all started with the Big Mac. Which means they all started with Delligatti. Amber Portwood: See Her Brand New Makeover!